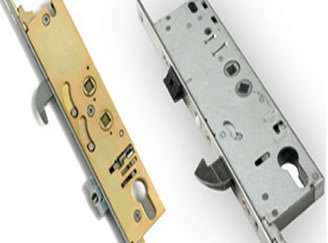 A Multipoint Lock is a mechanism that secures a door or window at one or more points. 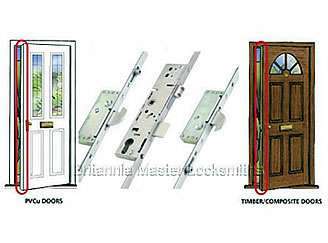 They consist of latch, deadbolt, hooks, anti-lift pin hook, mushroom cam, roller cam or finger bolts. They are commonly used in conservatory and patio doors but can also be found in any uPVC (PVCu) door or even in composite/timber doors. Lever/Lever Operation (Most Common) Lift the handle to engage the locking points and then turn the key once to lock. To unlock turn the key once, and push down the handle. Turn the key 2 or more times to fully engage all of the locking points. To unlock turn the key 2 or more times to release the locking points. When closed the door is auto-locked on the latch and cannot be opened from the outside without a key.